A light tongue in cheek kind of is the Mademoiselle Filou by Oligo. The designer of this can be used as wall, table and floor lamp accessories were inspired in the shaping of a common housefly. 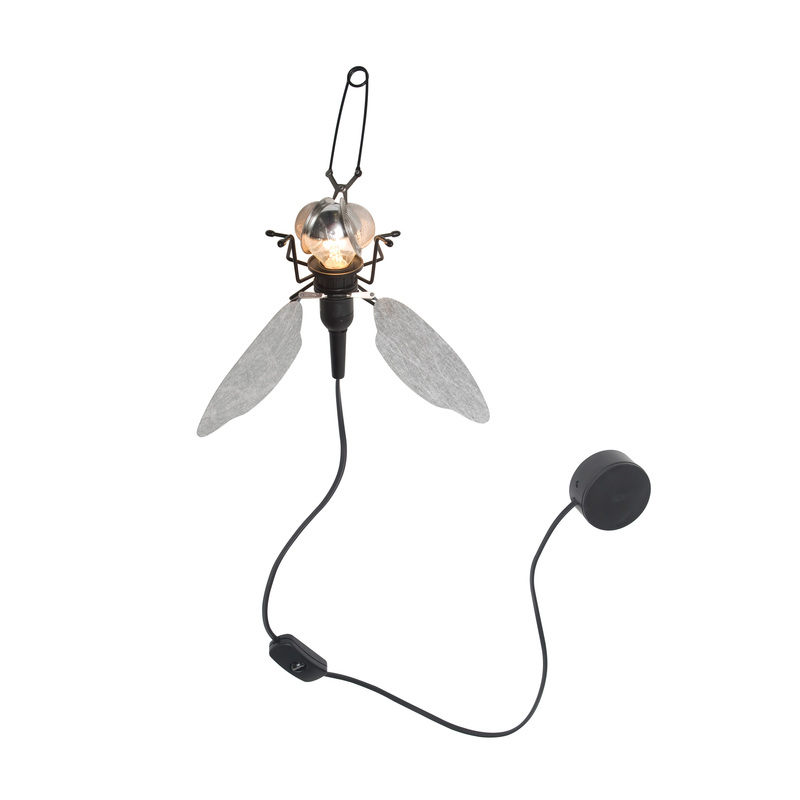 So they created a lamp that provides for guests for a stir, not least thanks to the choice of materials used in favor of originality: for example, for the presentation of the proboscis and the compound eye of the insect a tea strainer is used - a clear indication of the humorous approach of oligo designer. But despite all the joke: The Mademoiselle Filou is and remains a lamp that is meticulously crafted from high quality materials by skilled workers. Durability and excellent technical processing are two of the trademarks, which the company oligo owes its world fame. Eine Öse am linken Hinterbein bietet die Möglichkeit, die Fliege an beliebiger Stelle zu montieren.